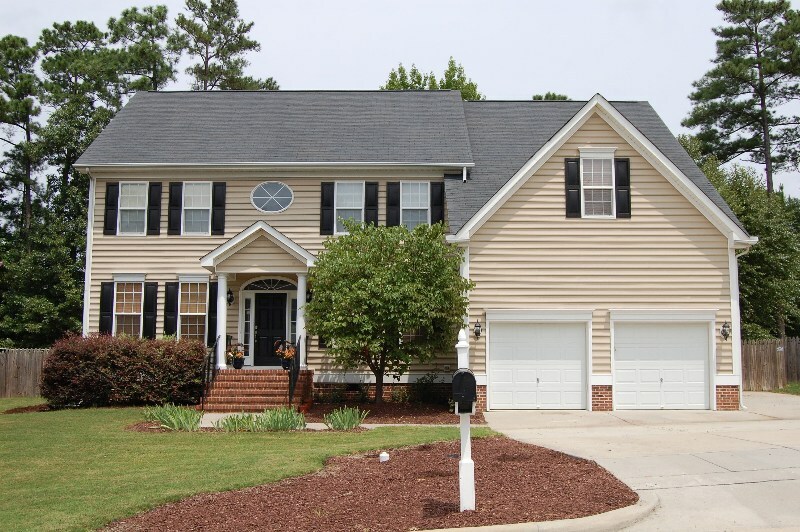 Front Of Home - 2 Story w/2 Car garage & parking pad, light tan vinyl w/white trim & 2 columned, covered front porch! 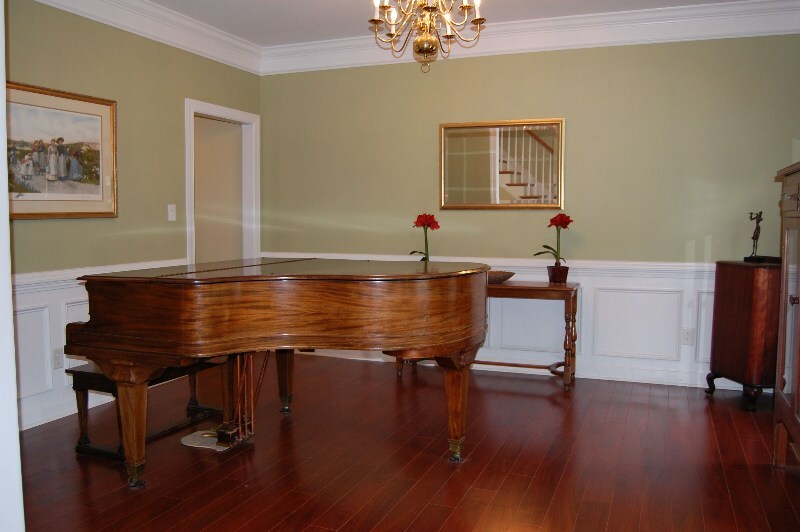 Formal Dining Room - w/Chandelier, Bose built-in speakers, laminate floor covering, wainscoting, chair rail & crown molding! 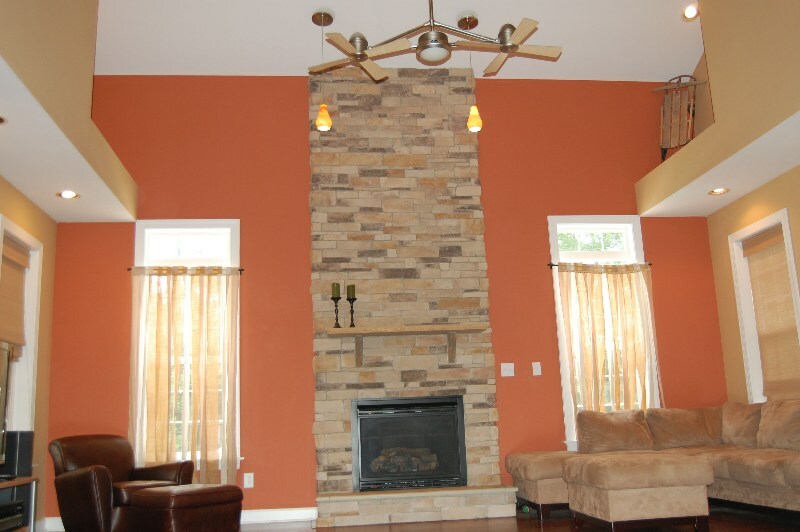 Living Room w/2 story Cathedral ceiling height, 2 columned entry, 8 recessed can lights, dual custom lighting at top of FP, remote controlled dual ceiling fan w/light, floor to ceiling stacked stone FP w/gas logs & blower, custom stone mantle! 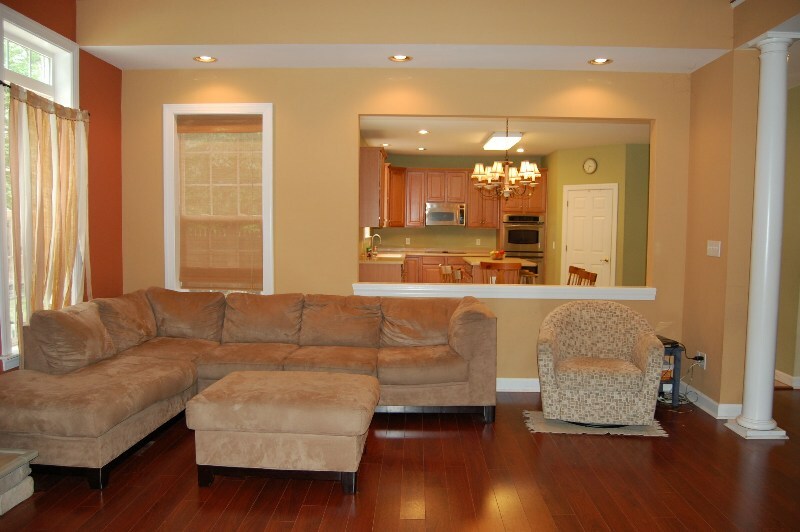 Living Room View through Breakfast Room and Kitchen! 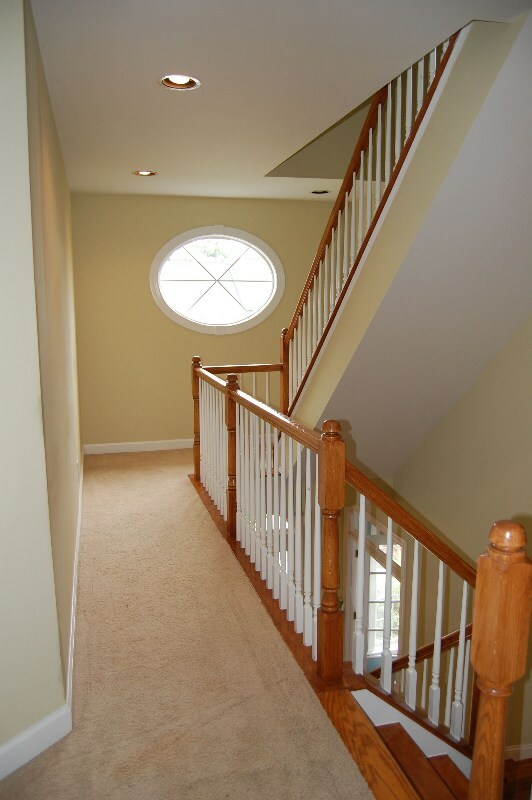 View of LR from second floor cat walk area w/2 windows w/transoms & 2 more windows, open to kitchen & second floor! 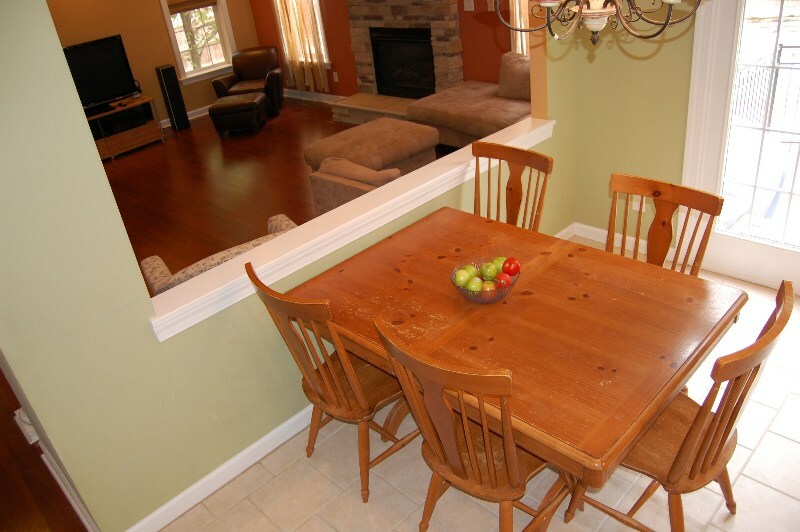 Breakfast Room w/chandelier, 12x12 tile floor covering, open to LR, built-in Bose speaker & access to back yard areas! Breakfast Room View through Living Room! 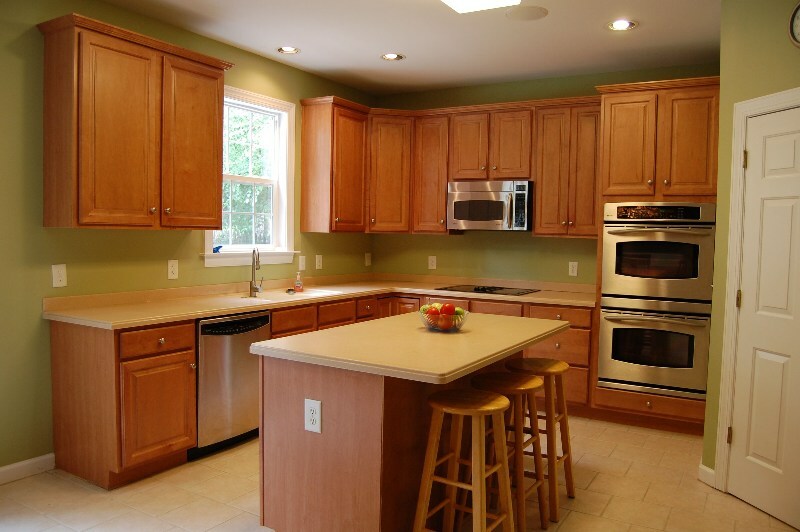 Kitchen w/12 inch tile floor covering, smooth surface countertops & 44” upgraded framed cabinetry w/open space at the top, center island w/cabinets & electrical, 2 sided deep sink w/arch spigot & garbage disposal! 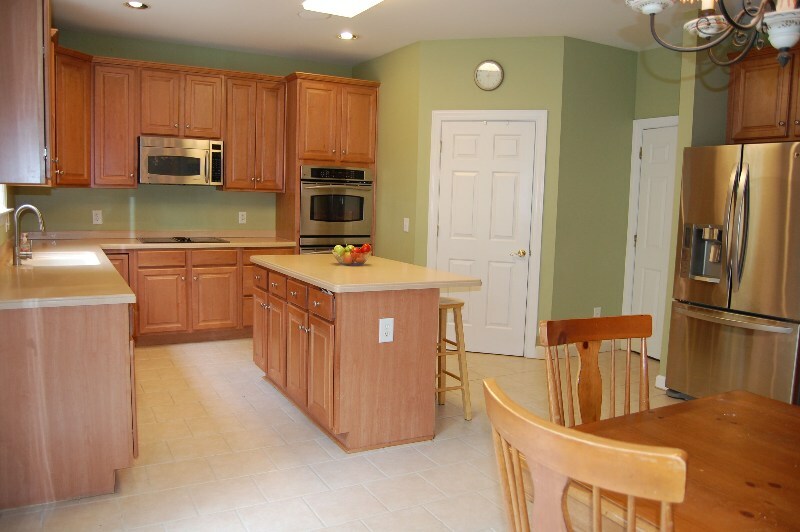 Kitchen view w/GE Profile stainless steel dishwasher, smooth surface flat top range, built-in GE Profile microwave, oven & convection oven & built-in Bose speaker! 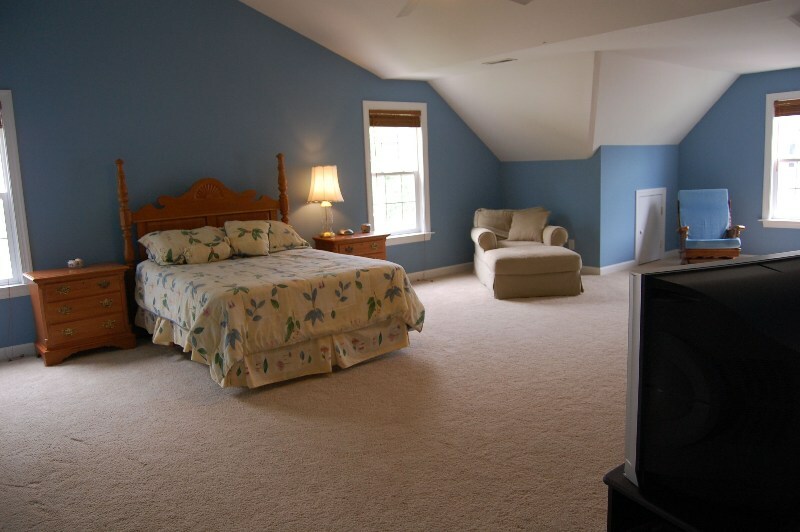 First Floor Guest Room Down w/ceiling light, 2 windows, & access to full bath at room entrance! 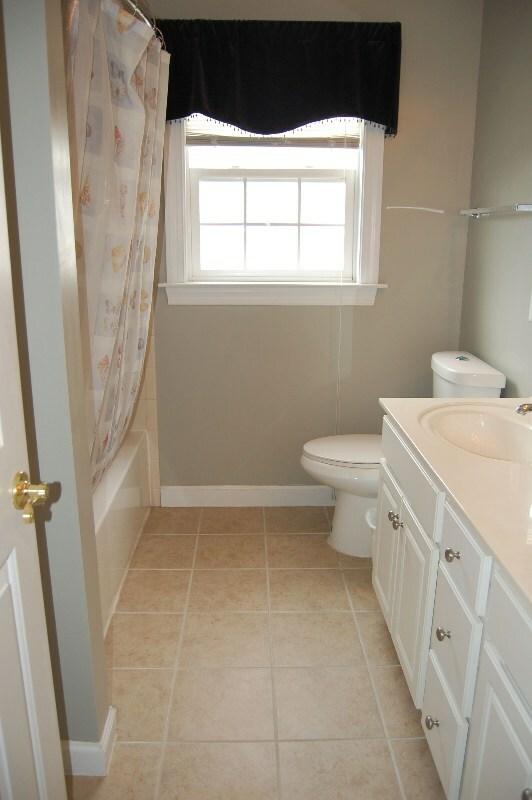 Full Bath Down w/ 12” tile floor covering, cultured marble vanity, white cabinetry, updated light fixture, water save dual flush toilet & shower/tub w/tile surround! 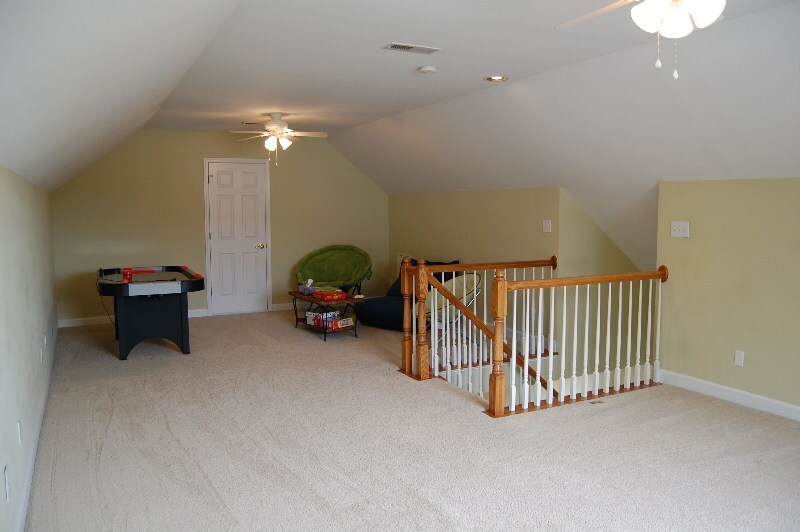 Cat walk view from second floor up to Bonus room. 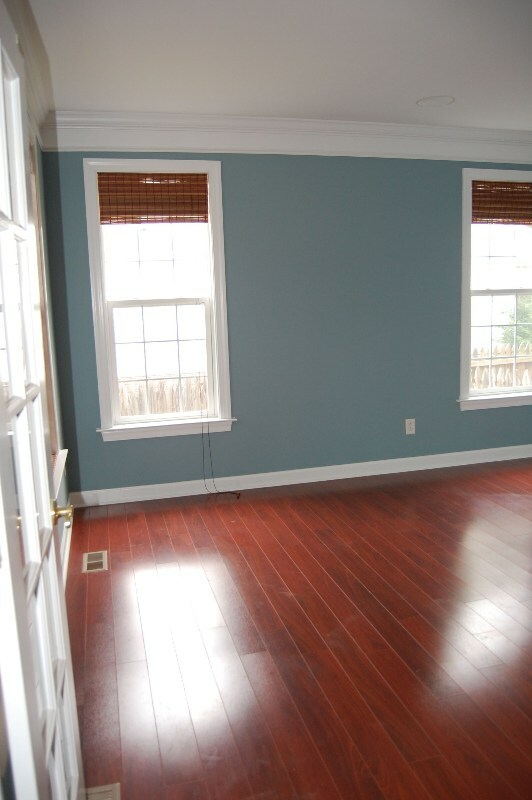 The first floor is laminate & tile with wood steps to second floor. 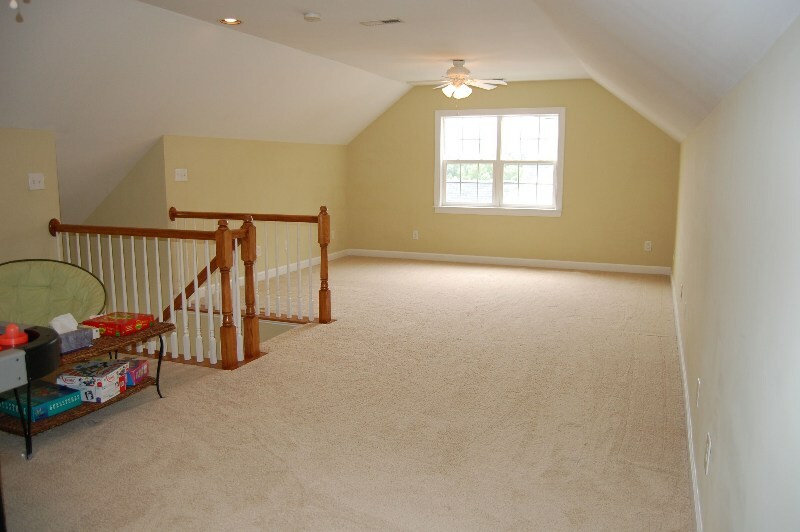 The second floor & Bonus Room, as well as steps between, are carpeted! 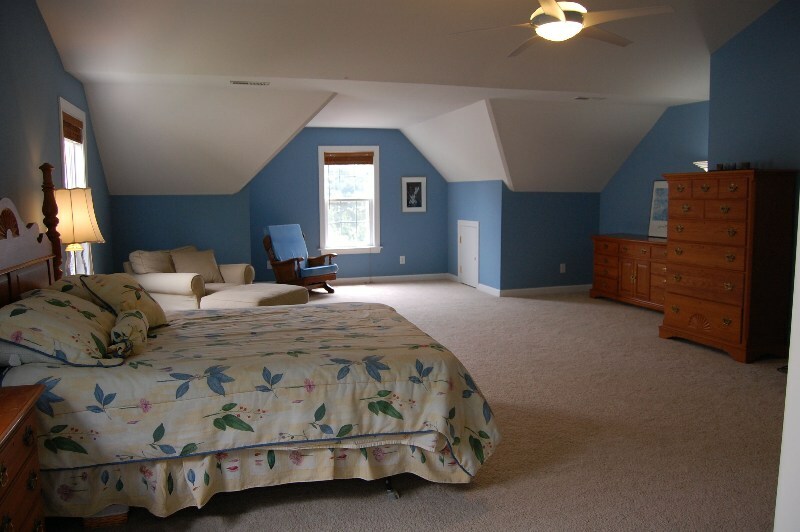 Master Bedroom Suite w/Cathedral ceiling, carpet, 2 windows, remote controlled 5 blade fan w/light, huge (11x10.6) master closet, 2 windows, spacious MBR sitting area w/ window and 2 under eave storage spaces! View of Master Bedroom from Master Bath doorway! 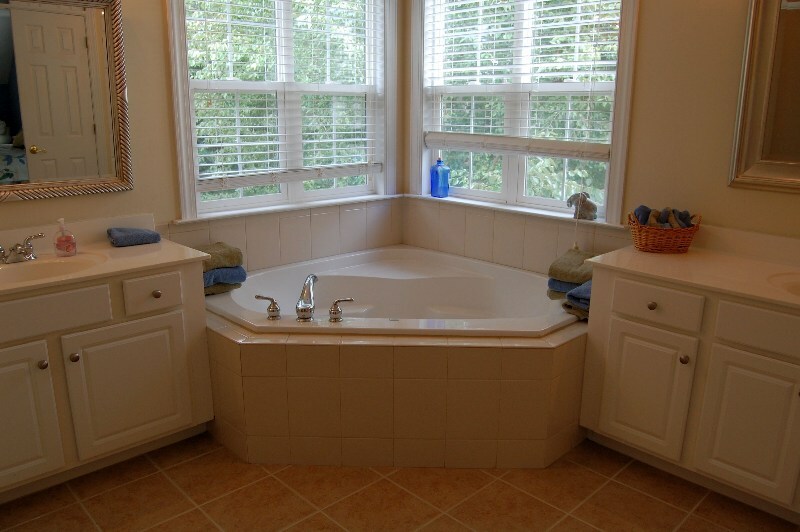 Master Bath w/double doors, 12” tile floor covering, dual white cabinetry w/dual sinks, separate garden tub, door to lavatory, separate stand up shower w/tile surround & glass doors & 3 recessed can lights! 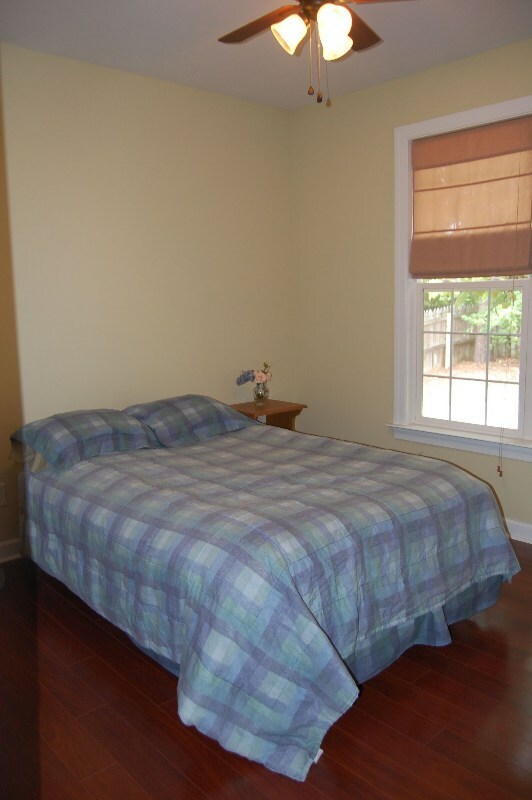 BR4 w/carpet, Harbor Breeze 5 blade ceiling fan w/light, 2 windows & 2 door closet ! 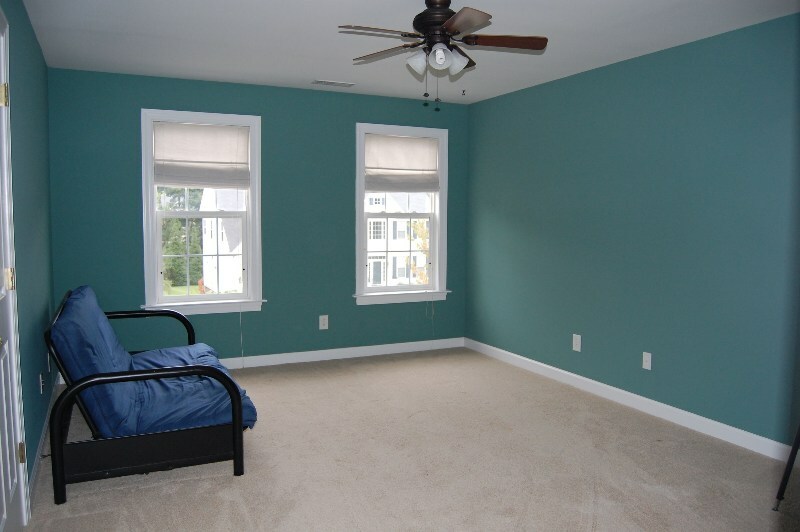 BR 2 w/ carpet, Harbor Breeze 3 blade fan & 3 lights, 2 windows & 2 door closet! 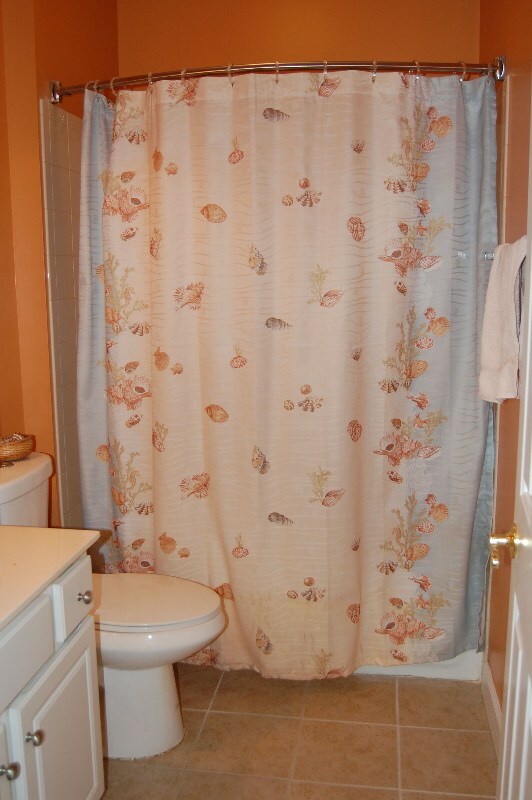 Full Bath Up w/12”tile floor covering, white cabinetry w/dual sinks, linen closet, water save dual flush toilet, shower/tub combination w/tile surround & window! 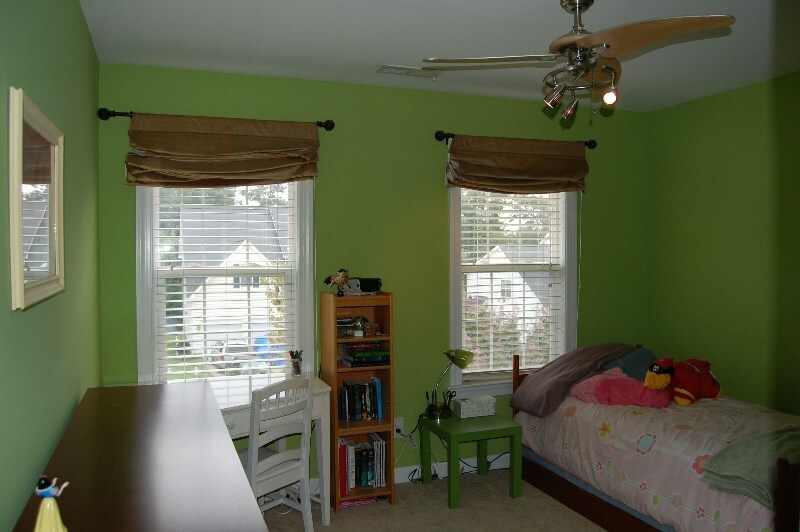 BR 3 w/carpet, Harbor Breeze 5 blade ceiling fan w/3 lights & window! 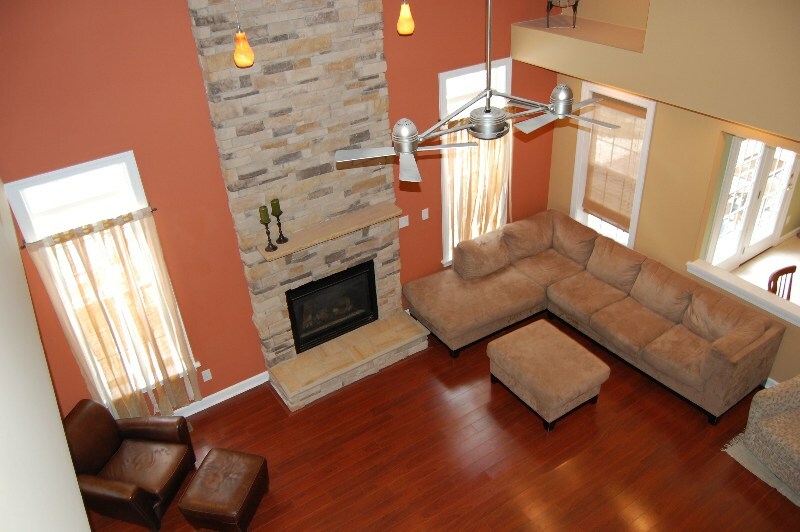 Bonus Room w/carpet, two 5 blade ceiling fans w/lights, double window & recessed can light! 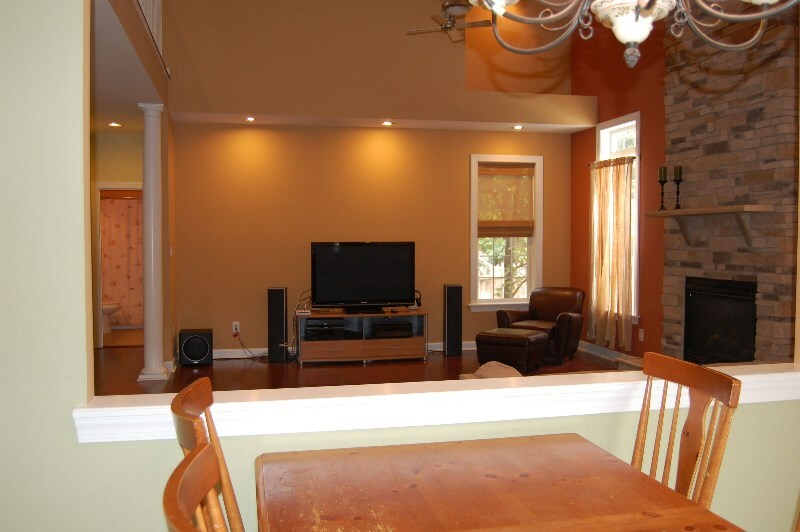 View through to the other side of the Bonus Room! 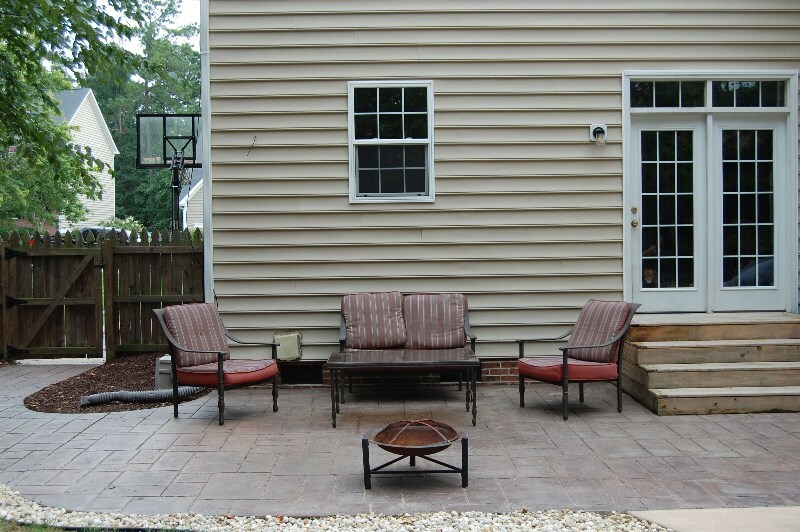 Custom Stamped Concrete Patio is pre-wired for outdoor speakers! 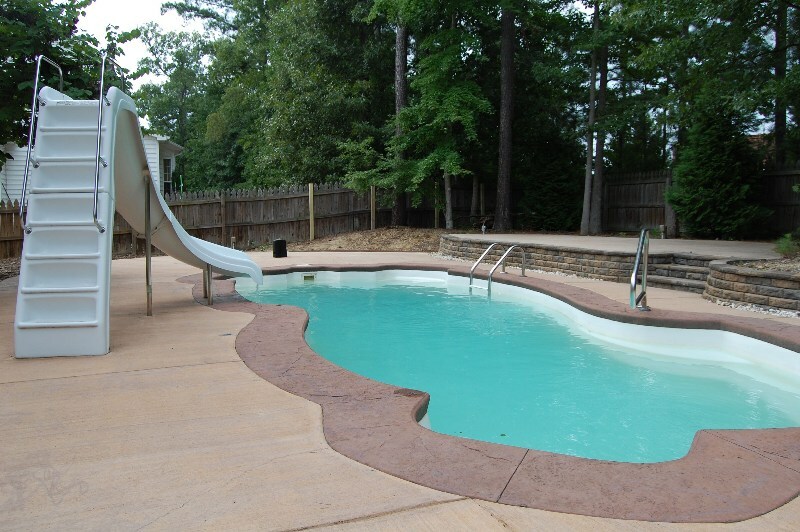 Pool is 30.4x13.5 w/slide, in pool seating & enclosed by a custom metal fence! 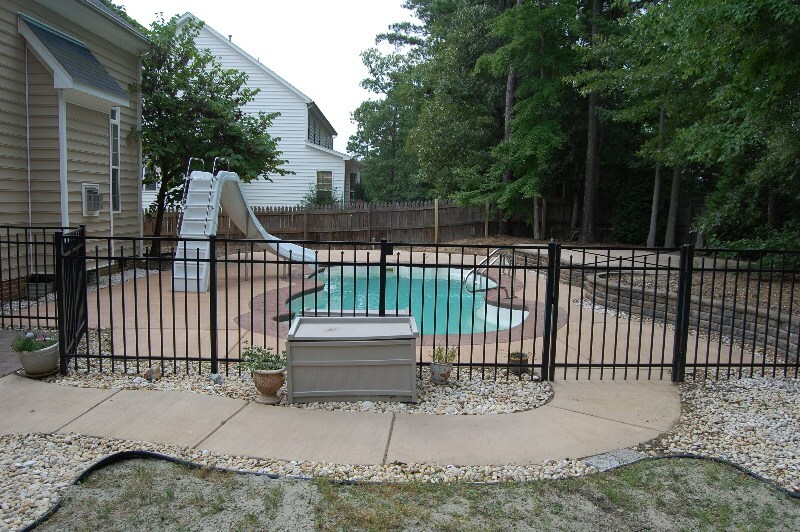 Back Yard w/wooden privacy fence has several areas that are not in the pool area. Wonderful back yard!